Maintaining correct spinal posture and addressing spinal conditions and back pain is essential to maintain a strong healthy spine. Designed in collaboration with Australian health professionals, our Australian made selection of seat cushions comfortably support the body’s natural curvature of the spine when seated for prolonged periods of time, such as whilst driving your car or sitting in front of your computer. 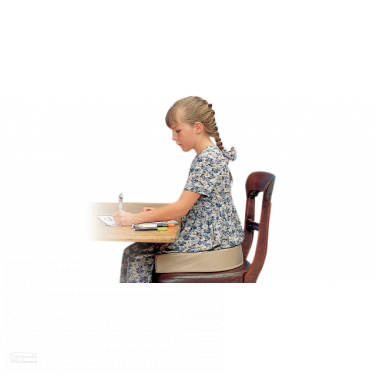 By supporting a strong natural posture the seat cushion serves to prevent back pain and promote a strong healthy spine. At Pillows Australia, we proudly supply a meticulously selected assortment of Traditional and Memory Foam seat cushions completely designed and made in Australia. Created and devised in tight collaboration with Australian health care practitioners and Australian families, our seat cushions are produced to highest standards of health and wellbeing upheld around the world. All of the seat cushions we supply are made to gently comfort and support the natural spine alignment and lower back musculoskeletal region of the human body, providing long-lasting comfort and support and enriching the health and wellbeing of Australians and people the world over. The natural Latex and the Traditional and Memory Foam seat cushion series we offer, including the Diffuser Cushion, the Donut Ring Cushion, and the Coccyx Wedge are all carefully created to provide the best comfort and support whilst seated, gently shaping and upholding the lower back region and the natural spine curvature of the body. The chiropractic seat cushion series we supply at Pillows Australia offer individuals of all different shapes and sizes comfortable chair cushions that offer support to the coccyx and tailbone, whilst also helping support the lower back and lumbar region, effectively helping relieve back pain, hip pain, coccyx pain and tailbone pain from a fractured or broken tailbone to a stinging bruised tailbone. 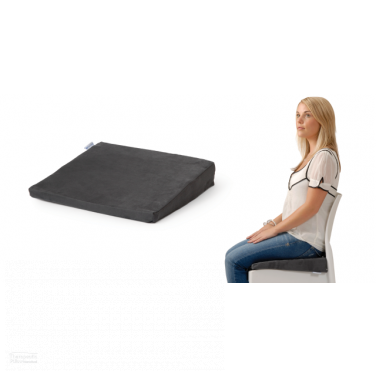 Our simple universally designed seat cushions can be used whilst seated wherever tailbone and coccyx support is needed, or simply wherever a seat needs more comfort. 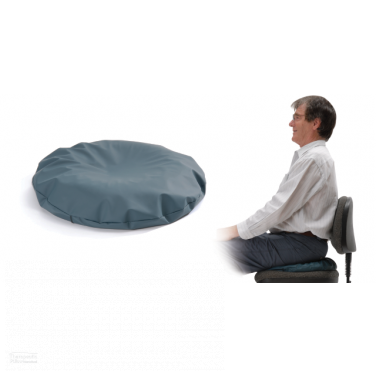 Whether it is seated during work at the office, seated whilst traveling, or simply relaxing on your chair at home, our seat cushions provide the best comfort and support. The human body is an incredible creation of natural strength and perseverance, which effectively enables us to experience and enjoy our day-to-day lives. As strong and as able our physical bodies may be, they are fragile and susceptible to all different types of physical pains and ailments. Often and without warning, our body can succumb to back pain, with sciatica or lumbar and spine conditions, nerve pain from a slipped disc, joint pain such as knee pain and hip pain, and of course the dreaded neck pain which can be exhaustingly debilitating at the best of times. Unfortunately, simply carrying out regular daily activities such as exercising at the gym and playing sport, sitting at the office all day or even just sleeping in the wrong position and on the wrong bedding can easily make our bodies ache and tire. When we are sore and tired we cannot possibly function to the best of our abilities. It goes without saying, we are all often guilty of taking our body’s for granted. Our fundamental objective at Pillows Australia is to help people find the best comfort and support for our body’s needs and for what our body deserves. The hand-picked selection of chiropractic seat cushions and coccyx lumbar support chair cushions we supply are all meticulously designed to comfortably support the lower back and natural lumbar spine alignment to ensure that our customers can have the best coccyx, tailbone and lower back support in the best lower back pain and tailbone pain preventing and relieving cushion. Whether it be a regular memory foam chair cushion, a traditional foam chair cushion or a latex cushion, our Seat Cushions range helps the coccyx mitigate lower back pain, lumbar pain, hip pain and tailbone pain with lower back support and lumbar support. From our Pillows to our Back Supports, and of course our Seat Cushions, all of our products are designed to deliver the comfort and support that ultimately enriches the health and wellbeing of Australians and people the world over. Rest better, Sleep Better, Be Better.